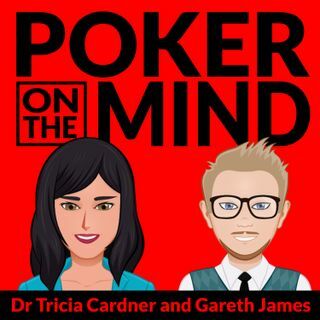 In Episode 56, MTT Coach Gareth James and Peak Performance Strategist Dr. Tricia talk about the proper play with KTs and a 9bb stack at the end of day1 in a multiday tournament. Jamie wanted to know if his shove was correct or if he should min-raise and fold to a shove so as to ensure he makes it to day 2. Tricia then turned the conversation to dealing with new year’s goals and resolutions and explained the myriad of reasons why most people are not able to achieve them. She gave tips and ... See More strategies to deal with this issue and Gareth shared some of the techniques he is using to more effectively meet his goals.